A few months ago we got a new mattress which has been a dream to sleep on, but I still had many nights I wasn’t sleeping well. I didn’t realize just how much pillows attributed to a good (or bad) nights sleep until I kept waking up with my pillows all twisted. So when I was offered to try out and write up a Nature’s Sleep Memory Foam Vitex 2 Pillow review, I couldn’t resist for the hope of finally getting good sleep! For almost a year I was sleeping on an air mattress because I knew I’d be moving a couple times within the year and it’s certainly easier to move an inflatable bed than a heavy mattress. While it was pretty comfy, I didn’t sleep as well as I could and thought I would be sleeping perfectly once we finally were able to get a new quality memory foam mattress. The bed felt great and for a while sleep was awesome, but then began the cycle of waking up several times at night again. Only this time it wasn’t the mattress, it was the pillows as I kept waking up with them all twisted like I was wringing them out to dry and my neck was not happy. I’d heard good things about memory foam pillows before, but hadn’t used one yet, so I was super excited when my new Nature’s Sleep Memory Foam Vitex 2 pillow arrived. The first thing I noticed was just how big the pillow is. I got the queen size so I expected it to be pretty large, but it was even larger than I expected, which I consider to be a good thing. I opened up the bag it was shipped in and immediately noticed the smell that generally accompanies memory foam products. The scent of this particular pillow was quite heavy, so I would certainly recommend letting it sit out for several hours, if not a day, being for using the pillow. I can still notice the scent even after couple weeks after using the pillow, but it’s not nearly as bad as it once was. 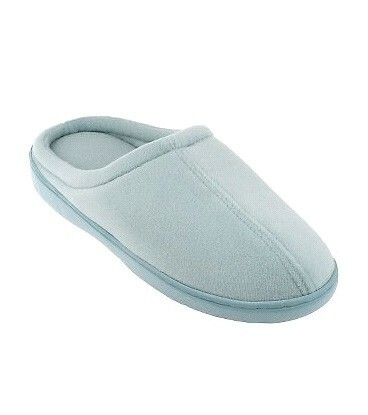 I couldn’t wait to go to bed that night to try the pillow and it felt like my head was on a cloud of complete comfort. I love how the pillow provides perfect support while cradling my head. I did end up setting the memory foam pillow on top of another pillow to put it at a height a bit more to my liking. That night ended up being the first in quite a while that I slept through the night without waking up with my neck hurting and tangled pillows. I could get used to this! Unfortunately I was nice enough to let the boyfriend try the pillow and now he wants one too. We tried sharing and he even took the pillow over one night citing a gift from the pillow fairy. ;) That night was filled with waking up with twisted pillows again so I have been happy to use the pillow nightly since. If it wasn’t enough that the boyfriend stole my pillow, the cats do as well. 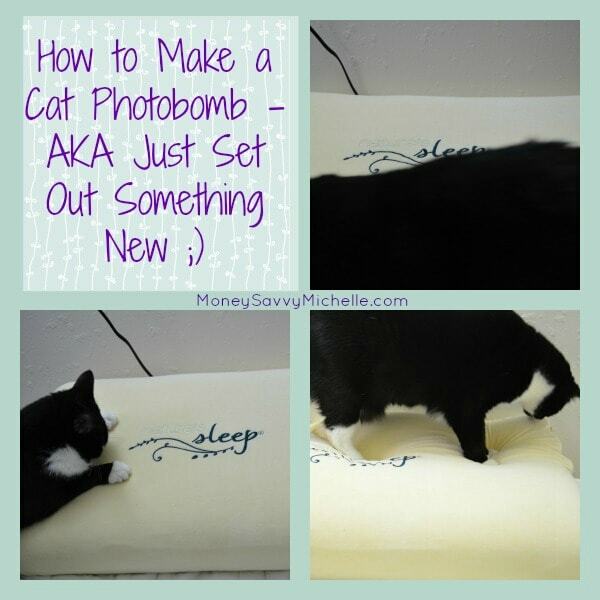 In fact when I first put the pillow on the bed, Charlie was there for plenty of photo bombs. Do your pets ever photobomb you? I knew I needed to put a pillow case on quickly and it’s a good thing I did because Charlie immediately made it her cat bed and seemed quite comfy and cozy. This pillow does need a large pillow case as it is on the large size as I mentioned earlier. My pillow is not my own, sigh. Final Takeaway: The only negative thing about this pillow was the memory foam smell, but that has mostly passed. 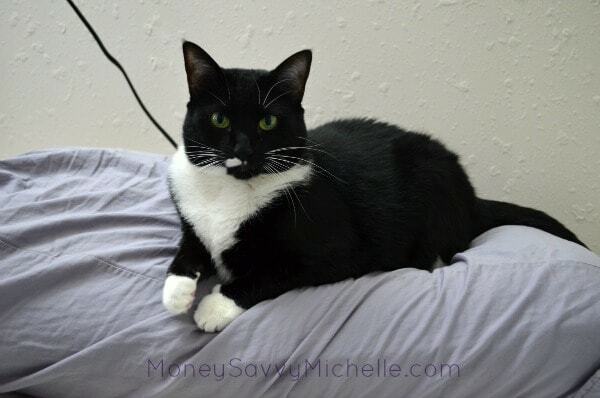 Otherwise, the whole household, fur babies included, love this pillow. I’m sure we’ll be getting the boyfriend one soon as well, but the cats already have their Nature’s Sleep Pet Bed to enjoy. For more information about Nature’s Sleep, visit NaturesSleep.com. Buy It: The Nature’s Sleep Memory Foam Vitex 2 pillow in the queen size is available for $135 at NaturesSleep.com. Win It: Congrats to our giveaway winner: Golden S.! Disclosure: I received the product reviewed above for free in exchange for my honest review. 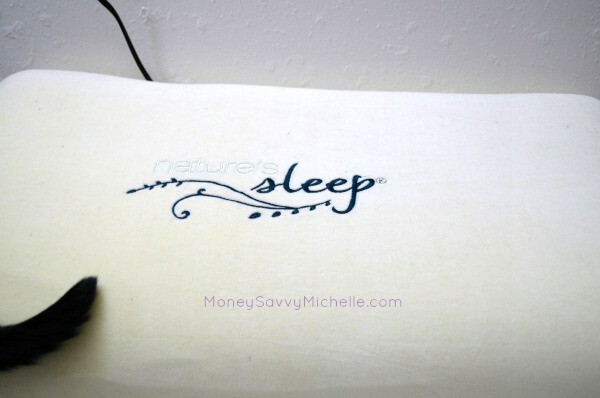 The giveaway prize is being sponsored by Nature’s Sleep who is responsible for all items and shipments. Money Savvy Michelle cannot be held responsible for any prize fulfillments or defects. 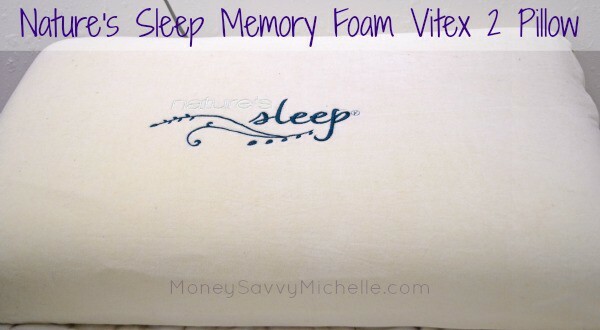 I hope you enjoyed this Nature’s Sleep Memory Foam Vitex 2 Pillow Review – be sure to check out our other reviews! Your review sounds awesome. Need to check Nature’s Sleep Memory Foam pillow soon. Thanks for sharing this product review.